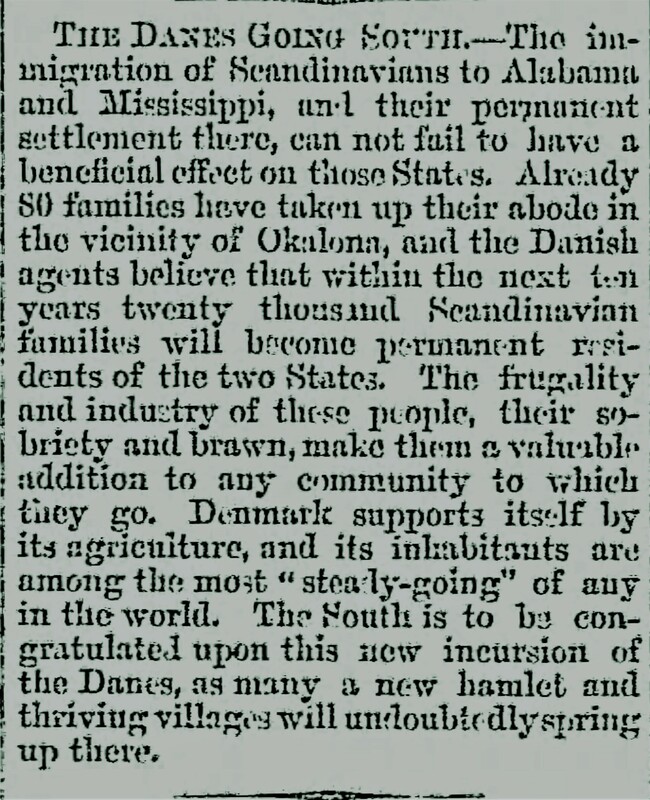 We normally think of Scandinavians migrating to the northwest of the United States, not south to Alabama. 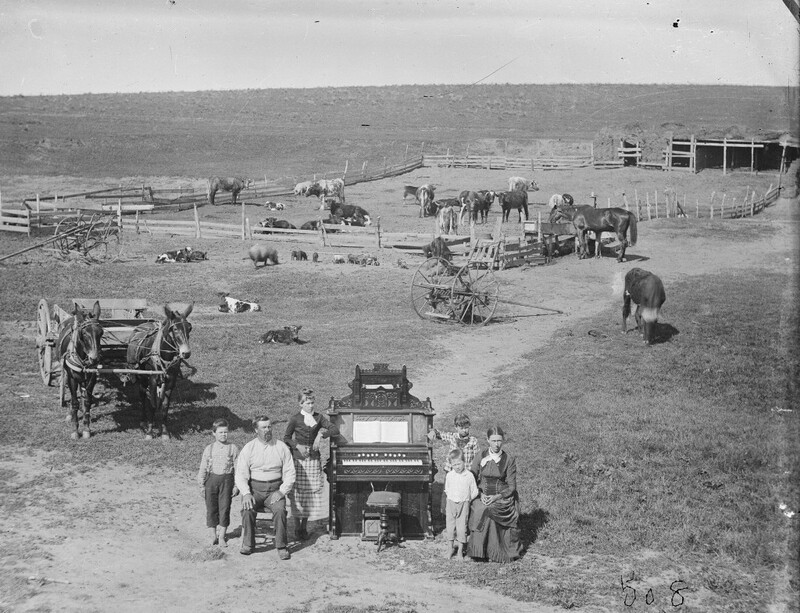 However, numerous droughts, grasshopper swarms, and prairie fires, plus depressed prices that hit farmers around 1890 caused them to think about moving again. 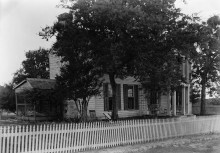 Thorsby was one of three Scandinavian Colonies that was established around Alabama at the turn of the century. 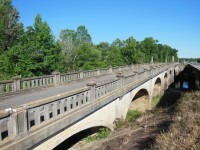 “Founded in 1895, the Town of Thorsby was the first planned community in Chilton County. 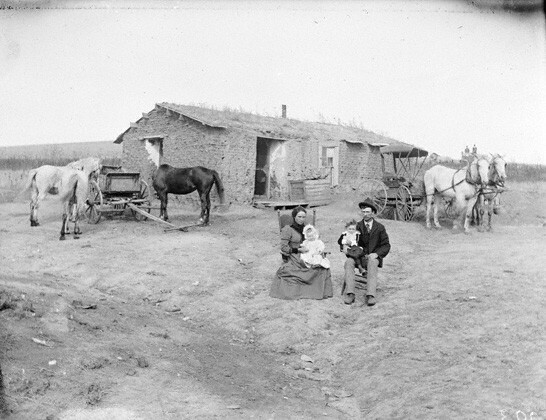 The original settlers were people of Scandinavian origin seeking a favorable climate to locate for farming, fruit growing and better health. 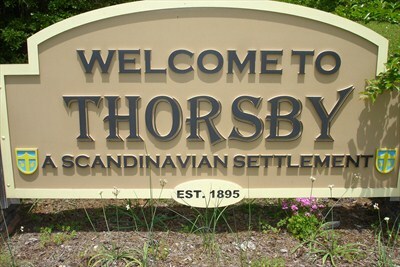 The original founders of Thorsby were three Swedes, Theodore T. Thorson, John F. Peterson, John E. Hedberg, and a Norwegian, K. G. Faegre. 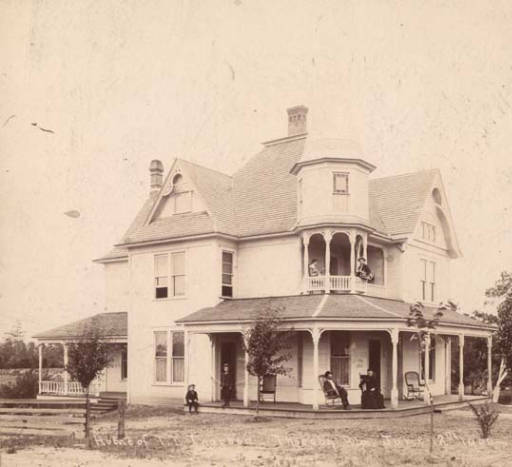 The founders formed the Concordia Land and Improvement Association and began mapping the new community. While the settlers of Thorsby, Alabama, came mainly from Minnesota, Illinois, Iowa, and Wisconsin, the founder of Thorsby, T. T. Thorson, formerly lived in Nebraska. 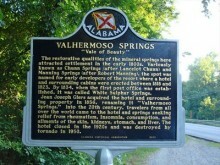 The migration to Alabama was naturally not limited to Scandinavians. 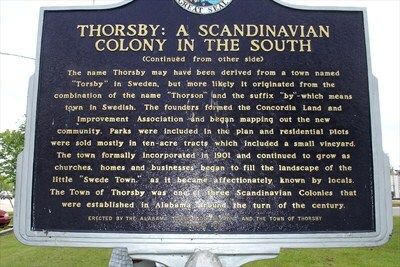 It is not sure how the name Thorsby was chosen, There is a ‘Torsby’ town in Sweden, but it may have come from founder T. T. Thorson’s name. 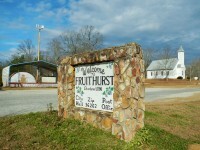 Parks were included in the community plan and ten-acre residential plots were sold which included a small vineyard. 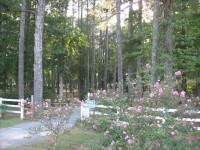 The Scandinavian cemetery with many early immigrants can be found on county road 37. 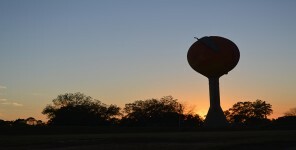 Thorsby was incorporated in 1901 and was affectionately called “Swede Town” by locals. 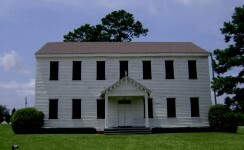 The Town of Thorsby was one of three Scandinavian Colonies that were established around Alabama at the turn of the century, the other two were SilverHill in Baldwin County, Alabama and Fruithurst in Cleburne County, Alabama. 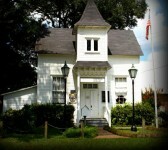 There is a Swedetown Road in Theodore, Alabama and I have heard some of the old, old timers refer to the area as Swede Town. My family was part of this!! Petersens from Denmark to Thorsby!! 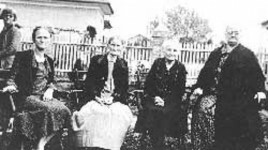 My family is from chilton co. 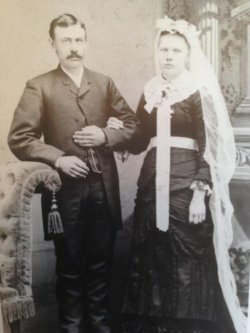 I went to texas got married moved back to thorsby ,ten years later i discovered that his mother was swedish and was first generation born in america. My children are 1/4 swedish. 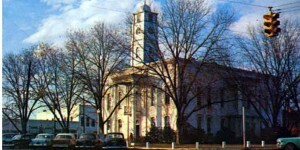 Thorsby was named for its founder T.T. 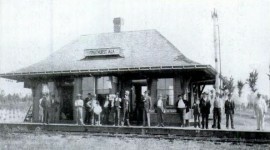 Thorson, my great grandfather. Thanks , I learn from most of your post . Donna Adams Huchette aren’t you Scandinavian?